A bird on the roof may, at first, seem like a welcome and beautiful guest; but you’ll soon realize that birds can cause all sorts of damage to your roof and everything you store under it. Though many birds and their nests are protected by law, there are various legal methods to get rid of birds on your roof or to deter them from it, including roof spikes and bird deflectors. Once you’ve found a bird-proofing solution that works for your roof, you’ll also need to repair the damage the birds have caused. Here’s our guide to every type of bird damage and what you can do to keep the birds from nesting on your roof. Birds can damage the roof of your building or risk whatever you have inside. Understanding the type of damage a bird may cause to your building can help you determine which bird prevention strategies you need to employ. Acidic droppings: A bird on the roof is sure to leave droppings everywhere. Birds have highly acidic droppings that can damage asphalt roofing materials and potentially other equipment on the roof, such as HVAC units. Further, the droppings may stimulate the growth of algae or moss by providing nutrients. Thus, your roof may have a shorter life span if it is exposed to bird droppings. Water buildup: All roofs are designed to shed water; but if a bird nests in a gutter or drain, it may block the flow of water. This backup may raise the water level, potentially allowing water to rush into areas it isn’t designed to go, such as between roof layers, into vents and into any vulnerable areas of the roof. It also causes undue stress on roofing materials, which may wear out faster under the water pressure. Airflow issues: Birds make their nests out of naturally flammable materials, such as grasses, twigs, bark, moss and other fibers. These materials increase your risk of fires, particularly when they are built next to HVAC equipment or inside of air vents. They may also reduce the quality of air in your building or impede proper roof ventilation, trapping moisture inside. Moisture collection may damage your roof or the rest of the building’s structure, or pose a risk to the goods you store in your building. Damage to goods: Birds may carry diseases that can affect humans. For example, gulls may carry E. coli, salmonella, psittacosis and fungal infections. This is a risk to anything edible you may manufacture. 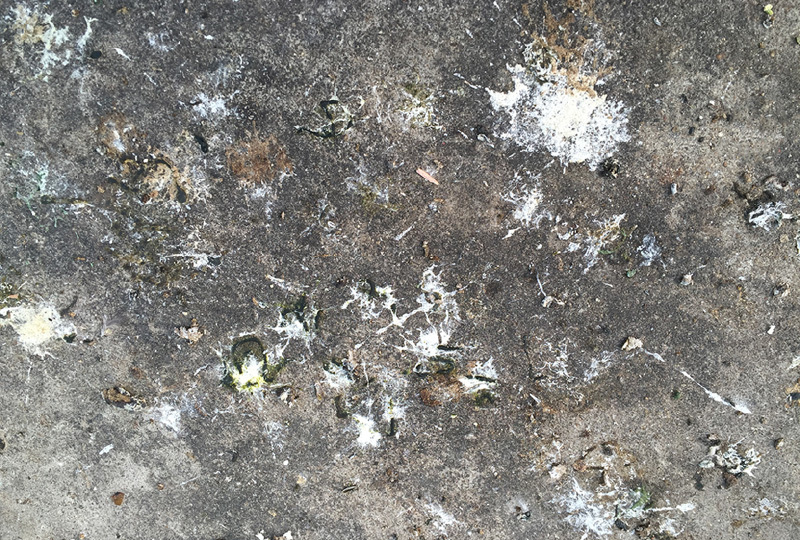 Bird droppings can also contaminate chemicals, liquids or other goods. Risks to employees: Bird droppings create unsanitary conditions for employees. Birds may be large enough to attack employees if they approach a nest and may frustrate employees with their calls. While not physical damage to your building or products, this could certainly damage your business. It’s important to keep your roof maintained in order to discourage birds from taking shelter on it. Here are several roof maintenance concerns you should pay special attention to before nesting season and in the fall. Fix holes or gaps in roofs: If you have a gap or hole in your roof, a bird may take advantage and build a nest there. A once-popular roofing foam, called spray polyurethane foam (SPF), actually attracts birds because it is a highly insular material, which birds realize makes for a good nest. If you have an SPF roof and part of the acrylic covering has worn away, you should get it repaired or replaced before a bird decides to take advantage of it. Fix “ponding”: When a flat roof isn’t level, it may collect water in small “ponds” where the roof dips. Birds may be attracted to this pond as a place to drink or bathe. A roofing professional can fix the underlying problem and level out your roof. Secure gravel roofs: If your flat roof has loose gravel, it’s important to clear it off. Some birds, including pigeons, eat small chunks of gravel to aid in digestion; so they may be attracted to your roof’s gravel. Plus, beach-nesting birds, such as killdeer and least terns, may nest on a gravel rooftop because it provides them with the right nest texture and relative safety from predators. 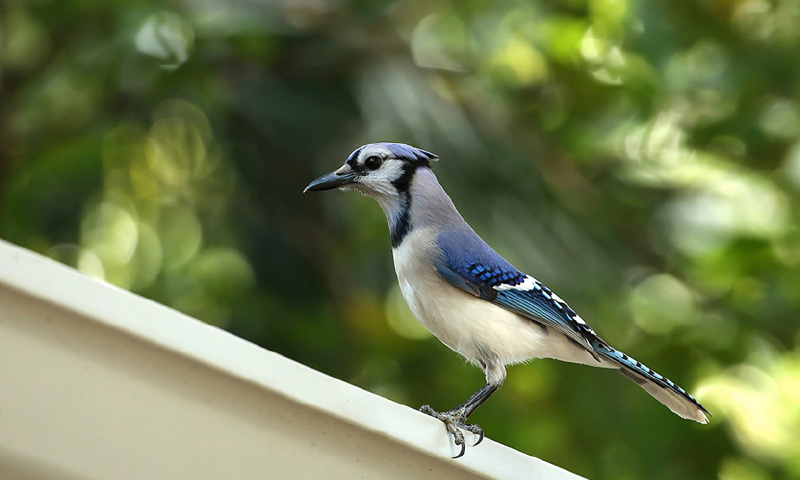 To avoid attracting these birds to your roof, you can use a roof system that is not topped off with gravel. A Built-Up Roofing System (BUR), using a modified bitumen layer as the top layer, or cap sheet, will not attract gravel-nesting birds. Or you can keep your existing roof and place a fine mesh over the gravel so the birds cannot access it. Clean up after predators: In some areas, birds of prey may also take shelter on your rooftop to eat their prey undisturbed. If your roof has predator visitors, you will find their leftovers on the rooftop, which should be cleaned off to avoid attracting more pests, including vultures. You may also find that the sharp talons from the birds of prey puncture small holes into your rooftop, so you may have to use bird-deterrent methods, such as those listed below. Deal with insect infestations: If you see the signs of an insect infestation in your building, you should get it taken care of by a pest control company right away to prevent attracting birds which eat bugs, such as woodpeckers. It is often illegal to remove a bird’s nest from the roof, under the Migratory Bird Act. This law protects all migratory birds, their nests and eggs from transport of any kind unless you have a license to move them. The Canadian equivalents of this law are the Migratory Birds Convention Act. You can find protected Canadian birds listed in the Species at Risk Registry. The species are similar as in the United States and are also protected from any nest or egg disturbances. To avoid breaking these laws, it is important to prevent birds from nesting on the roof in the first place. Further, some birds, including seagulls, have nest fidelity, which means once they successfully raise a brood in one spot, they will return to it year after year, creating a long-term problem for you. You should especially focus on your bird-proofing efforts during the nesting season. When the nesting season begins depends both on your area and the species of bird, but it generally starts with spring and the return of warm weather. Of course, you may also need to redouble your bird-deterring efforts in the fall, when nonmigrating birds will look for shelter from the cold weather, potentially on your roof. There are many types of bird-proofing or deterring mechanisms, which vary in their effectiveness; but one thing remains true for almost all of them: eventually, the birds get used to them. For long-term success, you may need to combine or alternate bird deterrents. Birds will avoid areas where they believe a predator is waiting for them. You can hire real hawk handlers to have their birds perch on your roof or fly around your building. However, you may have to repeat this frequently to get good results. A much more common tactic is to install a fake predator. Plastic decoys of owls, hawks, falcons, crocodiles, snakes, foxes and other animals which prey on birds are great deterrents. It doesn’t matter if the predator isn’t native to your area — birds’ fear of these animals is instinctive, not learned. You will find many predator dummies on the market. The most effective have reflective eyes, which appear more real to the birds. Other reflective items, such as metal discs or mirrors, can also scare birds. You can also boost the effectiveness of the dummy by incorporating moving parts like wings. You can attach streamers to the end of the fake owls for the same effect. Flags and windsocks can also scare birds. If you have water on your property, such as a pond or fountain, you can purchase battery-operated decoy crocodiles, which will swim around. While not on the roof, these crocodiles may prevent birds from nesting on your roof, because many birds will only nest in an environment with nearby water access. This way, they will seek out more suitable nesting areas. Alternatively, you can buy kites that look like hawks and move in the wind. Incorporating sound with the mannequin is another good technique. Using a loudspeaker to broadcast the calls of a predator or the warning calls of birds will help convince real birds that a predator is nearby. Even playing this sound by itself is highly effective. Birds do eventually learn that the sound and decoy are fake. To avoid this, you can move the decoy every three to four days to a new position, or alternate between dummies, which use different scare tactics (e.g., exchange one that moves in the wind for one that has reflective eyes) so the birds don’t have the chance to adjust to the mannequin. You can create a rooftop that isn’t comfortable for birds, so they will select better nesting grounds. There are many ways to make your roof uncomfortable; but one of the most popular and effective is to install roof bird spikes, also called anti-roosting strips/heel blocks. These roof bird spikes go by many other names, but they are essentially metal strips with small spikes that you can install on ledges, beams or anywhere the birds like to sit. These roof bird spikes don’t hurt the birds, but make it uncomfortable or impossible for them to sit; so they simply have to fly elsewhere. Installing these on the edges of rooftops can help deter predator birds specifically, which like to perch on the edge to survey their prey. Aesthetically, anti-roosting strips don’t cause a problem, as they aren’t usually visible. However, they can be expensive because you need a lot to cover every roof surface or beam, and you need manpower to install them. There are other designs of these strips intended to cover more space on the roof, such as the anti-perching device with protruding arms pictured below. If birds try to land on this roof, they will run into one of the arms, which makes them feel the surface isn’t safe; so they leave. Other bird-deterrent systems actively hurt birds; such systems include those that deliver small electrical shocks to the bird when it lands. While momentarily painful, these systems can be designed to deliver a very small shock that doesn’t do long-term damage to the bird and is very effective. However, such systems can be expensive to install across a large roof and will up your electricity costs too. You can also buy smelly or sticky substances that you can apply to your roof. Birds won’t want to land in them, at least not twice. It’s important that these substances are non-toxic, as it’s illegal to intentionally kill several species of birds; and you can’t control which birds come into contact with your roof. These substances range in expense and need to be reapplied, especially after rain. And, birds may get used to the substances. If you decide to invest in this solution, don’t use a substance made of hot pepper, or capsicum, as birds lack the taste receptor for peppers and therefore aren’t bothered by it. These sprays are intended for use against mammals. To keep birds out of roof vents, your best solution is to install a metal mesh over the top of the vent. Depending on what kind of bird you’re dealing with, this mesh may have to be very fine. If your bird problem is severe, you may wish to install netting over the whole roof. While effective at bird-proofing, this could be a very expensive option. Instead of covering the whole roof, you may wish to begin by using netting strategically, covering over the edges of the roof where birds perch or vulnerable areas of the roof, such as gutters or HVAC equipment. If your bird-prevention methods have failed, and you have a bird on the roof, what can you do? Your first step is to identify the bird. While most species are protected by law, invasive species, such as house sparrows, pigeons, and European starlings, are not, and their nests and eggs can be moved or even destroyed. In Canada, several other birds are considered game birds and can be hunted, including Canada geese. While you still need a permit to handle the nest or eggs of Canada geese, permits are frequently issued which allow for the destruction of the eggs. Nests of protected birds can sometimes be removed because the nest is considered unsafe for the birds. Unsafe nests include those built in gutters and drain pipes, in vents or on other rooftop equipment. However, there are restrictions on this removal, so you should contact your local authorities before you attempt to do this. For example, you may not be allowed to move the nest of an endangered bird no matter where it is. There are always exceptions though. The U.S. Fish and Wildlife Service does issue permits for otherwise illegal activity under the Migratory Bird Act, including moving nests. You can apply for a permit on the agency’s website. In Canada, you can ask about any special circumstances you may be dealing with at a Canadian Wildlife Service Regional Office, or your provincial wildlife authority. Once the nesting season has ended, and the fledglings have left, you can remove most nests legally. Yet, it is illegal to remove some empty nests because some species reuse their nests. This is true whether you’re in the U.S. or Canada. So, contact your local wildlife services to confirm your empty nests are safe to remove. Step One: Confirm it is legal to remove the nest with your local officials. Even if the nest is no longer in use, it may be illegal to remove it, as some species use the same nest year after year. Step Two: Put on thick gloves to protect yourself from a potential disease, which the nest may still harbor. Step Three: Approach the nest and keep an eye out for the birds. If you see the birds, you should leave, or you may be attacked by an angry parent. Step Four: Check inside the nest before you touch it. If there are baby birds inside the nest, you have to wait until they have left (in most cases) before continuing. If you want to move the nest while the birds are inside, you should consult your local authorities to find out if it is legal to do so. If the bird species is native to your area, it almost certainly won’t be legal to disturb it. Step Five: Collect the nest and dispose of it in a trash bag. Seal or tie the bag so you won’t risk spreading any infection the nest may harbor. Step Six: Clean the spot where the nest was located with warm water and soap. Do not use chemicals that may damage your roof’s surface. Step Seven: Mark the spot where the nest was built so you can install bird deterrents there before nesting season begins again next year. Many birds will return to the exact same spot year after year. If you have multiple nests to remove, it may make sense to hire a professional pest remover to deal with your birds. They often have licenses to remove nests, which you may not be allowed to touch. They also can legally trap and release birds, under certain circumstances. Further, they may be able to offer you location-specific advice about which deterrents work best on the species in your areas. After you have removed the birds, or after they have migrated, you will need to deal with any damage they caused. If your asphalt roof has been heavily soiled with bird droppings, you may have to replace the cap layer rather than attempt to clean it. It is possible that the acid from the droppings has compromised the integrity of the material, affecting its performance. If you have found any gaps or holes in the roof, they should be fixed immediately in order to prevent a leak or further damage. Any nesting materials should be thoroughly cleaned from all vents and roof surfaces. You may prefer to have a roofing professional inspect your roof after birds have nested on it so that they can find all of the damage and advise you on whether the roof’s material is salvageable or needs replacement. You can find a nearby IKO-certified roofing professional to perform this inspection and complete any repairs your roof needs.